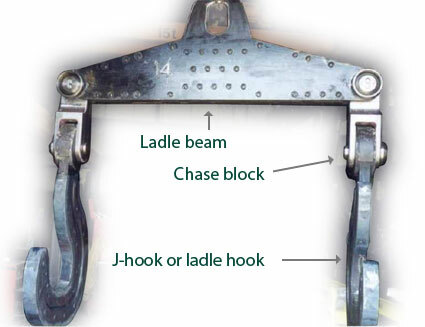 Ladle beams with ladle hooks or J-hooks are a type of below-the-hook lifting device used to position and rotate ladle hooks or J-hooks to control the flow of molten liquid. 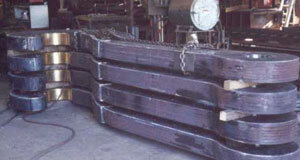 Palm bushings protect the paper roll or ladle trunion from wear. 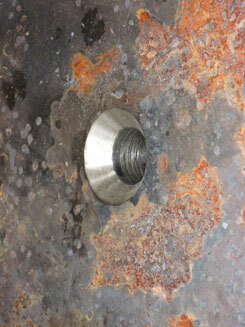 Radial key retains the palm bushings in place. 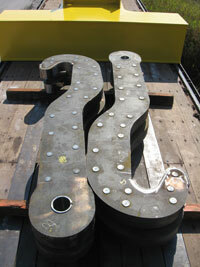 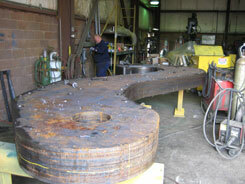 These 80-ton capacity riveted ladle hooks are for the 80 ton ladle beam above. 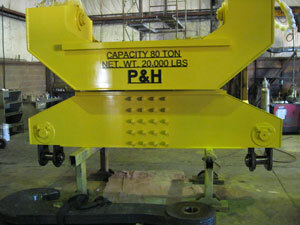 370-ton laminated hook plates are leveled, flame cut, bolted and tack welded together prior to riveting. 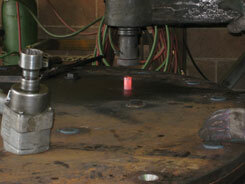 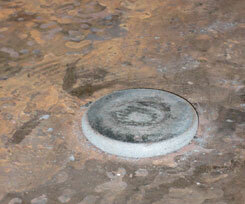 Hook plates are drilled and countersunk. 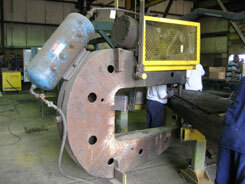 Plate laminations are riveted together using a special air-powered riveting machine. 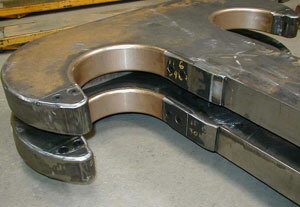 Hook plates are riveted together. 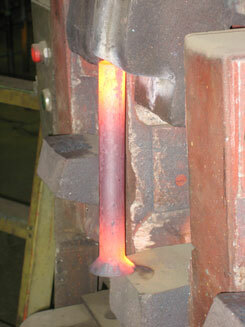 Rivets are placed in an electric heater until the correct temperature is reached. 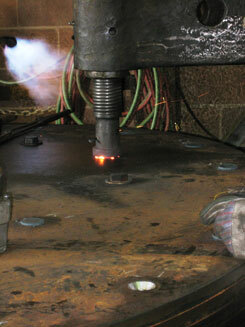 Rivet is formed using the riveting machine.